I know of 2 very high up in the sky infinity pools in Singapore. The big one at Marina Bay Sands Hotel. This smaller one at Westin Singapore. The wife and I had a dip in it during one night when we had a staycation there. It was freezing. 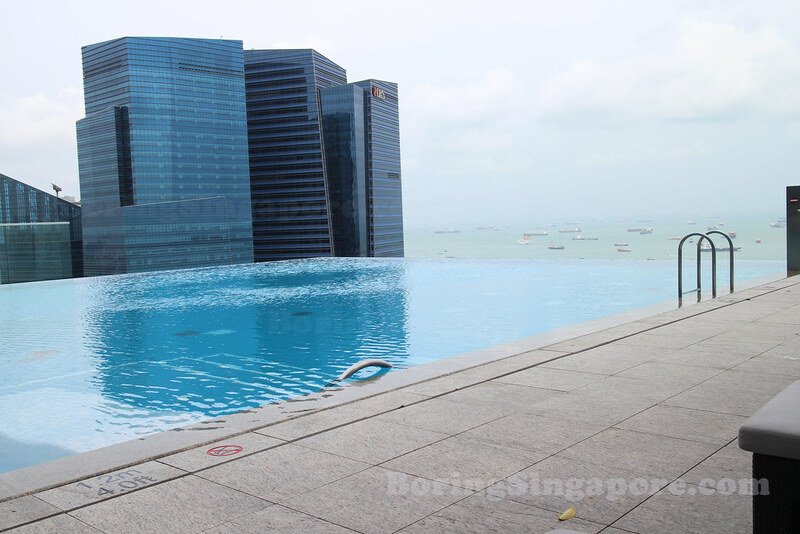 If you are bored in Singapore, have a dip in a pool high up on a building! It's nice to look at infinity pools isn't it? It seems endless and the pool seems to extend all the way to the sea with the ships!